This is slightly off topic, I guess, but this recent article caught my interest and then my imagination: British Library releases rare titles as ebooks by Shane Redmond. 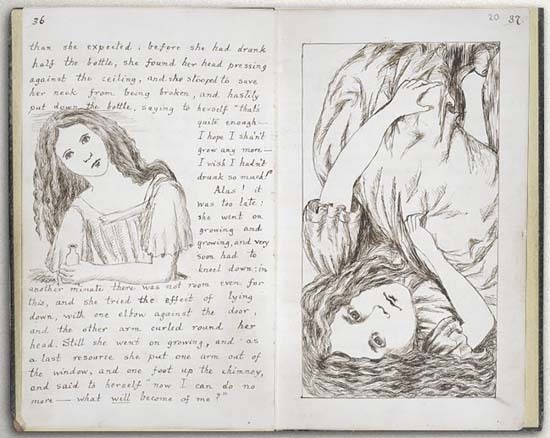 The British Library has made Lewis Carroll’s handwritten and illustrated version of Alice’s Adventures in Wonderland available as an enhanced ebook. Also available are Jane Austen’s History of England - a 1791 work that the author completed when she was just 15 - and William Blake’s Notebook. Leonardo Da Vinci’s Codex Arundel is also available and includes the ability to flip Leonardo’s mirror writing. 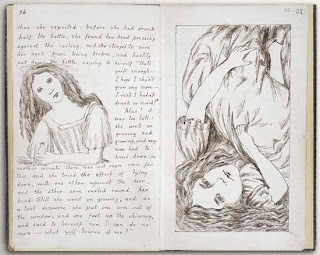 Jamie Andrews, head of English and drama at the British Library, said the release of Lewis Carroll’s manuscript would give people the chance to explore a book that is so fragile that very few people are allowed to view it. The British Library’s eBook Treasures series is being produced by Armadillo Systems and the Library plans to release 75 titles over the next two years, allowing readers to explore some of the world’s most rare works. The Library also has some apps, including one summarising British Library Treasures and another that contains scans of 19th century books from the Library’s collection. The eBook Treasures website is available here. So essentially this is a few steps above what we can find at such wonderful online book collections as at Google Books, Internet Archives and Gutenberg. These are the types of developments that make me a fan of modern technology. As someone who has been hunting rare books for years more for content than the object, I am thrilled. Yes, the object is a wondrous thing, but the information inside is what continues my work. No, I'd rather not be limited to a Mac app, but that will eventually expand, too. So what fairy tale/folklore books would be on your wishlist for a collection like this? Thanks for the heads-up. Alice's Adventures Under Ground is "free for a limited time!"